Is it really food you are craving, or could it be something else? No matter what you weigh, if you are used to eating when you aren’t hungry and any of the above questions ring true for you, you are using food to fill other needs. But there is never enough food to take upsetting situations or feelings away. There’s never enough sweets to make sadness go away…never enough snacks to make anger go away. You get the point. Problem #1: Using food for comfort…comfort is what you really crave! Problem #2: There’s a good chance you’re not even aware of why or how you use food for comfort. It’s a subconscious and automatic behavior pattern. You may not know which upsetting feelings cause you to reach for food. The real solution to ending emotional eating, and ending battles with your weight, is to resolve the underlying issues that cause you to use food for comfort. As I have learned myself, getting real with yourself is the only thing that works. 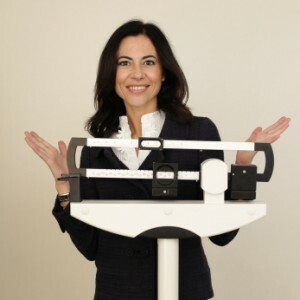 If you go on yet another diet, deprive yourself of this, that, or the other thing, or lose that 10 pounds again, you won’t be able to keep the weight off unless your underlying beliefs about yourself and life are consistent with living at your natural, healthy weight. And you’ll need to learn new, healthier ways to handle upsetting and anxious situations. We make about 200 choices a day about food and we’re only aware of about 25, according to Brian Wansink, author ofMindless Eating. You’ve got to increase your awareness of what you’re eating and why. It’s a wonderful opportunity to get connected to your own body and understand more about both your physical needs and your emotional needs. When you’re clearer on your true needs, you can consciously choose healthy and supportive ways to fill the real “craving” of the moment. If you’re reaching for food to help you handle upsetting situations or feelings, you will never be satisfied. To quote song lyrics, it’s like “looking for love in all the wrong places.” Maybe you’re going for chocolate when what you really crave is to feel respected. Maybe you’re eating too much ice cream when what you really crave is to have a friend to be there for you. Maybe you’re finishing off the bag of chips when what you really crave is to feel like you matter. Know the difference between hunger and eating for other reasons. Find out what you really crave. Interrupt old patterns and replace emotional eating with healthier ways to fill your “emotional cravings.” Have the courage to get real with yourself and you can transform your relationship with food (and with yourself!) forever.